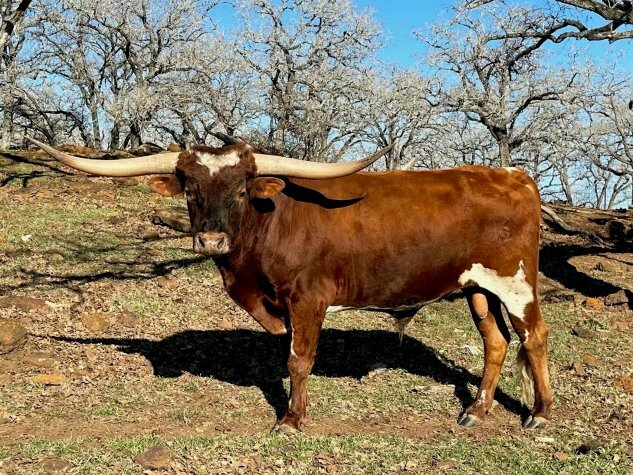 Owned in partnership with Robert & Kim Richey of Triple R Ranch in San Angelo, TX. Radio is showing a ton of promise at a young age. His sire is the great Trinity R3. His dam is tight twist cow out of Brown Bomber. Radio serves as an outcross on the bottom side and fits in for the twist genetics that both of our programs are going for.